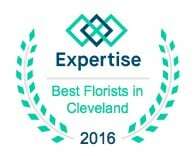 Mayfield Floral is a trusted source for flower delivery to the Cleveland Clinic 7 days a week. We are Proud to be a family-owned local florist and offer a large selection of the freshest flowers direct from the growers. From traditional to contemporary designs, our talented designers at Mayfield Floral will create the perfect arrangement to bring a smile to the patient at the Cleveland Clinic. Shop online 24 hours a day, or call us at (440) 646-1100 to create an extra special arrangement. 100% satisfaction guaranteed.